It seems that modern art has coined more “…isms” than any other era before it. 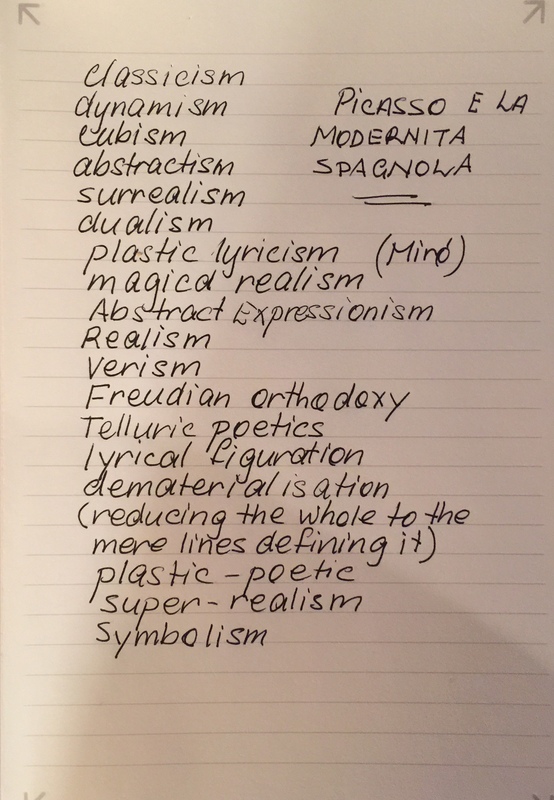 I wrote this list as I toured the exhibition at the Palazzo Strozzi today and I think that I will be working it all out for a good long time to come. My list from the descriptions of the pieces.